In order to fully investigate your case, you will also need records from other treating physicians and hospitals where you, or your loved one, were treated. If you need any assistance in requesting these records, or if you would like our firm to obtain these records for you, please give us a call. We will pay the costs of obtaining these medical records. Once all of the records are obtained, this information must be reviewed by an expert oncologist to determine whether Dr. Fata committed medical malpractice. Our firm can make sure that is done for you. Under Michigan law, there are time limits on when you can pursue a medical malpractice case. The time limit is typically two years from the date of the malpractice. However, where you were not aware of your injury and its possible cause within that two year time frame, you may have an additional six months from the date that you should have been aware of your injury and its possible cause. Therefore, you should contact an attorney as soon as possible. Our firm will discuss your potential case with us, order the records, and have them reviewed by medical experts. Our costs and fees are contingent upon your recovery of proceeds. In other words, we will pay these costs up front and our law firm will not receive reimbursement for our costs or fees unless we obtain a recovery for you. Unfortunately, Michigan law limits the amount that patients can recover in medical malpractice claims. The limitations are dependent upon the specific facts of each individual case. Our firm believes strongly that Michigan’s limitations of damages is unconstitutional. Moreover, limitations on damages hurt those who are already hurt the most. It is our belief that these damage limitations protect the doctors and other health care professionals who do the most damage. Our firm is committed to the fight to overturn these caps. Will This Be a Class Action Case? 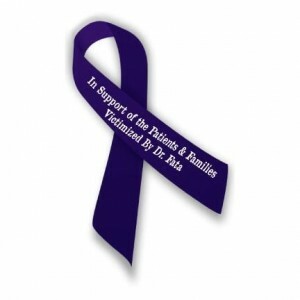 There is still a significant amount of investigation being undertaken regarding Dr. Fata’s treatments. 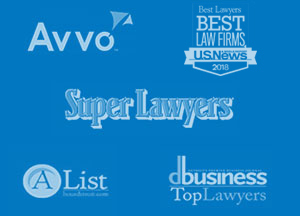 Our firm is collaborating with lawyers from all over Michigan to provide our clients with the best possible representation. One of the considerations is whether a class action could be certified by a court. In order to pursue a class action, each individual claim must have common questions of law or fact. It is unlikely that this case will be a class action because each individual patient received different treatment from Dr. Fata and suffered different types of injuries. Click here for a copy of the criminal complaint filed against Dr. Fata. Click here for a copy of the memo from the FBI handed out August 21, 2013 during the meeting at ConCorde Inn in Rochester Hills.